Turn left out of the gate and walk down the road for about half a mile. Take the second track on the right signposted to Baysbrown. Follow the path across the valley and bear right after the bridge over Great Langdale Beck. 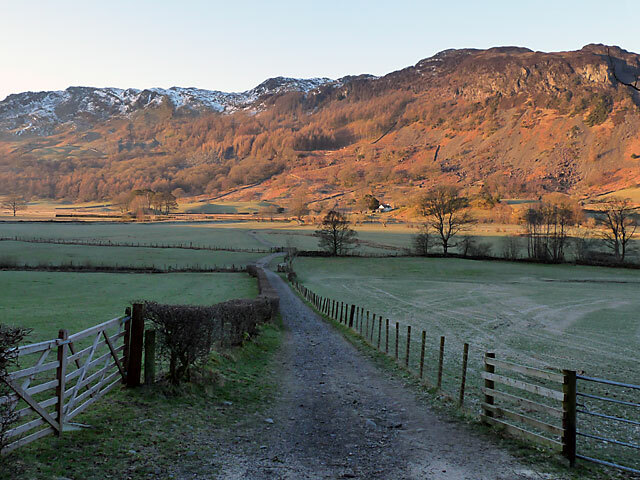 Turn right after Oak Howe signed to New Dungeon Ghyll and follow the path between dry stone walls along the edge of the valley under the slopes of Lingmoor. 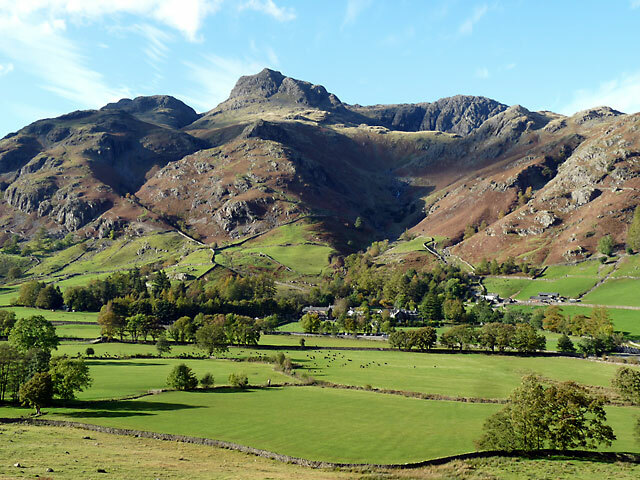 There are good views looking across the valley to the Langdale Pikes. The path reaches a high point at a gate, then descends a stone path down to Side House farm. 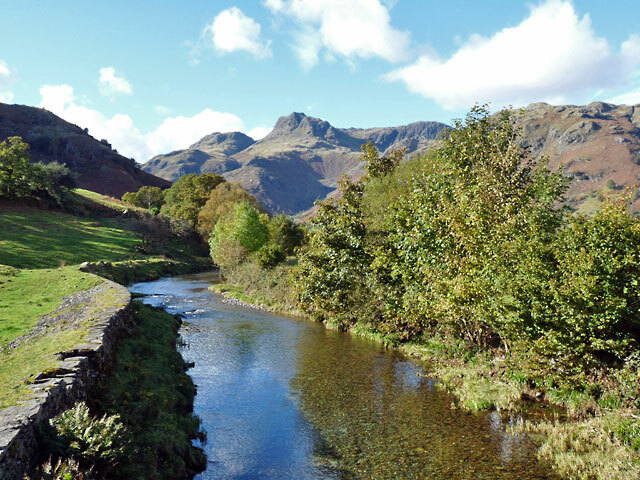 Cross a small wooden bridge then through the farm and across the valley to join the road at New Dungeon Ghyll. A final ¾ mile walk along the road takes you back to the cottages. 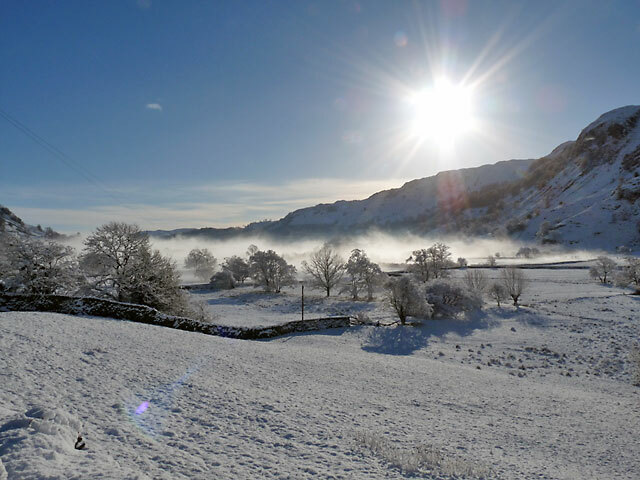 The view east down the valley on a January morning. The path across the valley towards Lingmoor. Looking across the valley the Langdale Pikes dominate the scene. 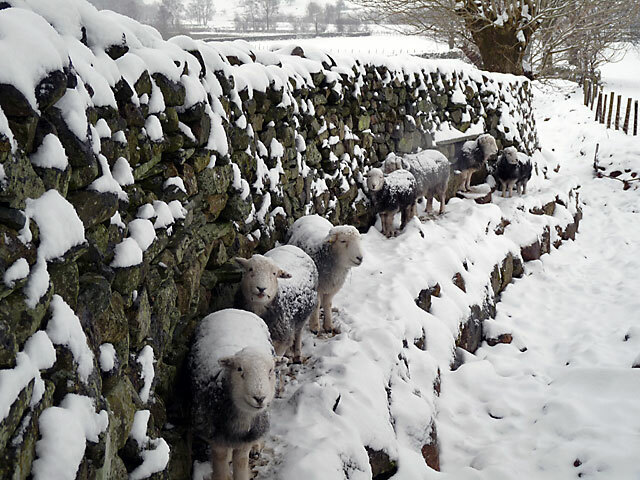 Herdwicks sheltering from the snow.